The boys where at it agen this weekend. Hear is Joe, Fred, Chris, Jeff and Broy. 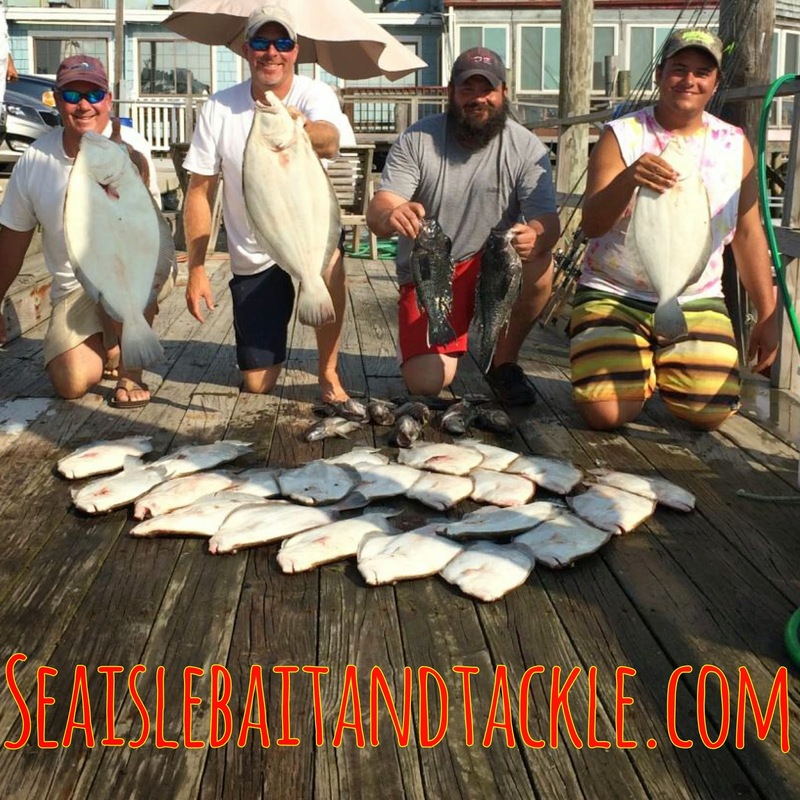 They had there limit of flounder and Sea bass mostly fishing around or in the neighborhood of the Wild Wood reef. The fish where biting on many things but mostly of Gulp! On a buck tail. The reports from this weekend where out standing the flounder fishing may be the best I have seen it in my life time bit fish and lots of them…..